Just in case you weren't sure... the Long Arm club and the Ruler Club are meeting this Saturday, the 23rd of June! 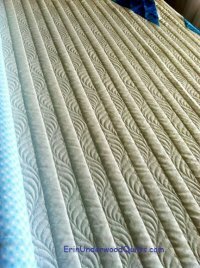 This month we are talking quilting from the back- pantographs, groovy boards and more! Saturday, June 23 at 11 am! Last meeting for Club #2. 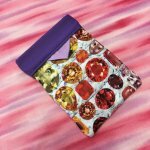 HandiQuilter has a special gift for for everyone who participated! 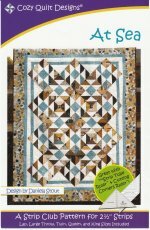 HandiQuilter also has Ruler Club of the Month #3. Click HERE to check out these fun rulers. All starting here at the Blue Hen August 18th. Our sample looks great! Come see! 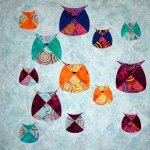 Mod Owl and Mod Flamingos are just a couple of pattern choices for this workshop!